Many commentators said they had witnessed the best-ever renewal of Royal Ascot when the five-day spectacular ended on June 23. With plenty of outstanding performances on the track, it is all change in the latest standings for the 2012 Cartier Racing Awards. The Cartier Awards are now in their 22nd year, having been established in 1991 to reward excellence in horseracing. They are determined by points earned by horses in Pattern races throughout 2012, combined at the end of season with the opinions of a panel of racing journalists and votes from readers of the Racing Post and The Daily Telegraph. Royal Ascot opened with a devastating display from the outstanding Frankel (64 points), who chalked up win number 11 as he powered away to a brilliant 11-length victory in the Group One Queen Anne Stakes over the straight mile. 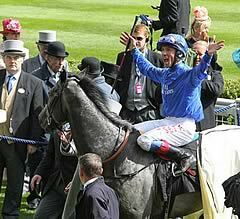 It was his most dazzling performance and Timeform rates him as the best racehorse in its 64-year history. Khalid Abdulla’s colt, who is trained by Sir Henry Cecil and ridden by Tom Queally, remains unbeaten and the sense of expectation when he next steps out on a racecourse will be even greater. He is likely to go for the QIPCO Sussex Stakes at Glorious Goodwood on August 1 and then is set to step up to 10 furlongs in the Juddmonte International at York three weeks later. 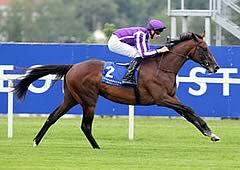 The four-year-old son of Galileo scooped the Cartier Horse Of The Year and Cartier Three-Year-Old Colt Awards in 2011. 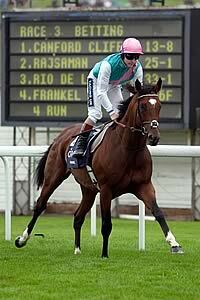 The Cartier Awards have recognised his greatness from the beginning as Frankel was named Cartier Two-Year-Old Colt in 2010. Leading the race for Cartier Horse Of The Year honour at the moment is another unbeaten colt, Camelot (96), who could line up in Saturday’s Dubai Duty Free Irish Derby at the Curragh following victories in two other Classics, the QIPCO 2000 Guineas and Investec Derby. So You Think (78), who like Camelot is trained Aidan O’Brien in Ireland, moves up to second place in the 2012 Cartier Horse Of The Year standings following his comfortable victory in the Group One 150th Anniversary Of The Prince Of Wales’s Stakes over 10 furlongs on the Wednesday of Royal Ascot. He also tops the current table for the Cartier Older Horse Award, ahead of Cirrus Des Aigles (72) who missed Royal Ascot because of a slight injury. The two Group One sprints at Royal Ascot, part of the Global Sprint Challenge and the QIPCO British Champions Series, were both landed by international raiders, with the “Wonder From Down Under”, Black Caviar (48), jumping to the head of the standing for the Cartier Sprinter Award following her victory in Saturday’s Diamond Jubilee Stakes over six furlongs. The amazing mare, now unbeaten in 22 starts, was all out to hold off the late challenge of Moonlight Cloud by a head after her jockey Luke Nolen eased down prematurely. Black Caviar now heads back to Australia. Hong Kong-trained Little Bridge (32) got the better of Bated Breath (32) in the five-furlong Group One King’s Stand Stakes on the opening day, with the consistent Sole Power (28) in third. Little Bridge also returns home after Royal Ascot. Godolphin enjoyed a thrilling 1-2 in the Gold Cup on the Thursday of Royal Ascot, with Colour Vision (56) benefiting from a superb Frankie Dettori ride to get the better of Opinion Poll (36) by half a length. The Godolphin duo lead the way in the race for the Cartier Stayer Award, followed by Usuello (24) and Red Cadeaux (20), who won the Group Two Yorkshire Cup in May prior to excellent second places in the Investec Coronation Cup at Epsom Downs and the Hardwicke Stakes at Royal Ascot. Camelot tops the standings for the Cartier Three-Year-Old Colt Award, followed by Prix du Jockey Club hero Saonois (58). Most Improved (48) moves up into third place following his gutsy victory in the St James’s Palace Stakes at Royal Ascot, where he saw off French raider Hermival (38) by three quarters of a length. The standings for Cartier Three-Year-Old Filly Award show little difference between the first and the fourth, with Poule d’Essai des Pouliches heroine and Prix de Diane runner-up Beauty Parlour (56) leading the way from QIPCO 1000 Guineas scorer Homecoming Queen (51), Coronation Stakes second Starscope (49) and Investec Oaks winner Was (49). Harry Herbert, Cartier’s racing consultant, commented: “Royal Ascot was as good as any I can remember and it was marvellous to see the world’s two best horses, Frankel and Black Caviar, both succeed. Frankel’s stunning performance is sure to be an important factor as he bids to land his second Cartier Horse Of The Year Award.